Sub Vet Memorial. . . 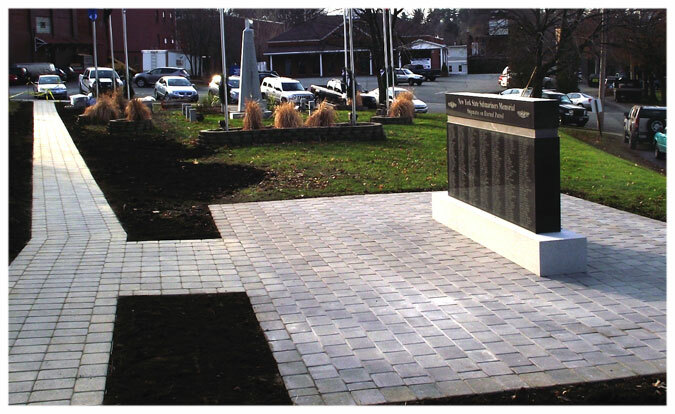 The New York State Submariners Memorial is located in the Village of Ballston Spa on Route 50 in a Veterans Park between the Village Library and the Post Office. This Submarine Memorial is the first Memorial dedicated to the Submariners from a State rather than the Submarine they served on. 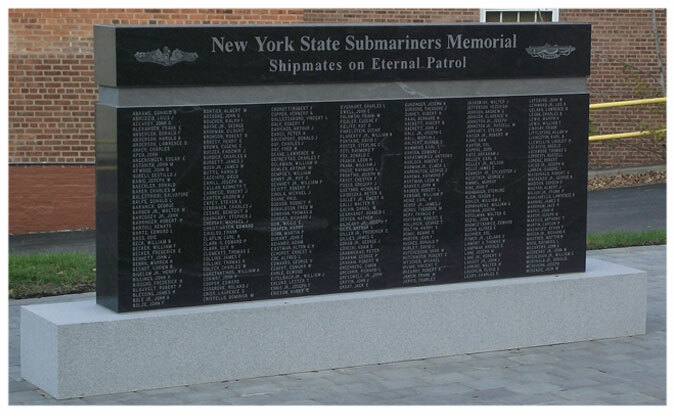 This Memorial contains the listing of 447 New York State Submariners who paid the supreme sacrifice while serving their country in the Silent Service of the U.S. Navy. The Memorial design starts with a 4 ft. by 8 ft by 10 in. black gem mist stone mounted on a light gray base stone. 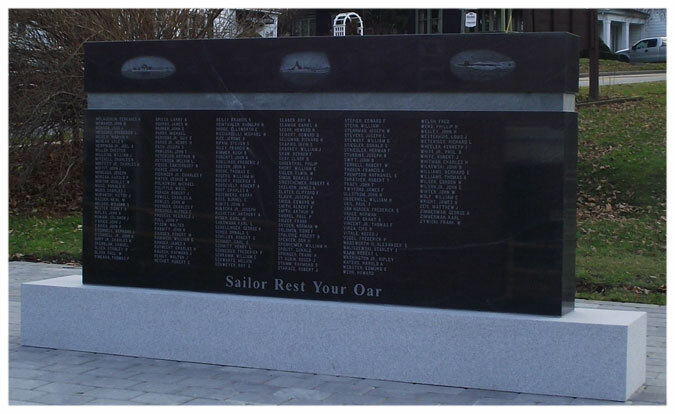 The front of the Memorial has a header with a set of Dolphins on the left and a World War II Patrol on the right laser etched into the stone. The front has 7 columns of 38 names each. The back has a header of 3 lost boats laser etched representing the boats lost prior to, during and after World War II and 7 columns of 32 names each for a total of 490 possible names. Click here for photos of the completed memorial and the dedication ceremony on May 20th 2012. Click here for a history of the project. Copyright © 2011 Albany-Saratoga SubVets. All rights reserved.